All right, it’s time for another Indonesian soto. 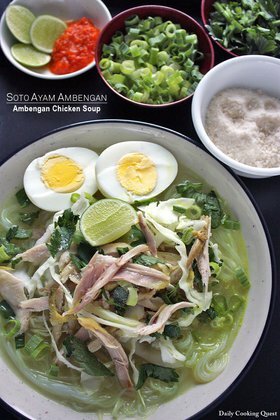 As an Indonesian, I have lost count of how many varieties of soto we have. 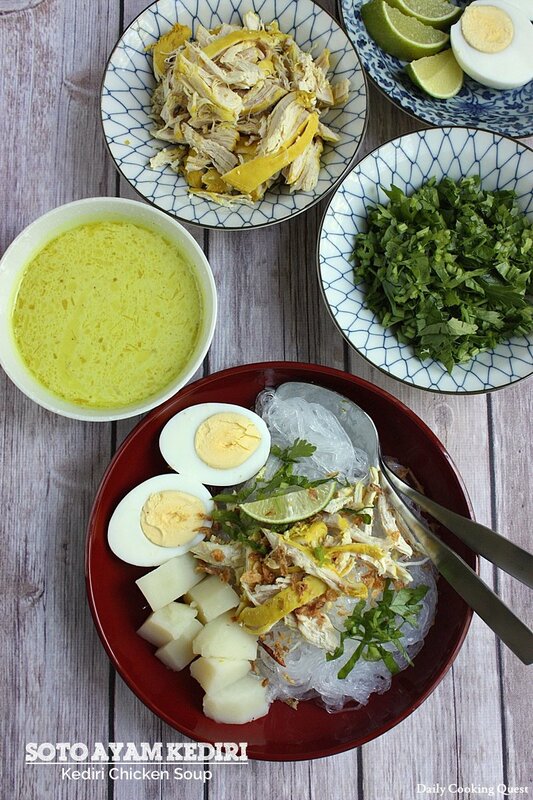 There are 33 provinces in Indonesia, I am pretty sure that there must at least be one soto to each province, so at the minimum we must have at least 33 different varieties of soto, since I know that some provinces have more than one soto. 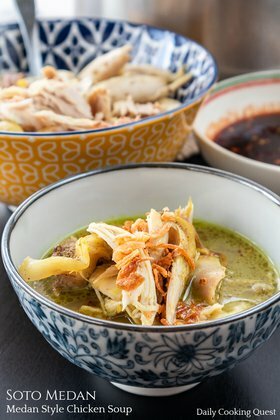 I seriously think that if someone were to open a restaurant offering nothing else but the different soto that we have, it would definitely be a big hit. Today’s soto is from the city of Kediri (where else, duh?) in the province of East Java. This city was the capital of Kediri kingdom, an ancient Hindu kingdom. Over the course of history, it became part of Singhasari, Majapahit, Demak, and Mataram kingdoms. 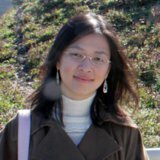 Okay, I should stop there since I am not a historian, hehe. Now for the more exciting stuff, do you know that if you ever visit Kediri, you should buy tofu? Yup, this is the city famous for the tahu kuning, a tofu with yellow colored skin, firmer than regular white tofu, and when fried, the skin will be crispy while the flesh will still be soft and tender. And if tofu is not your thing, then try their soto. 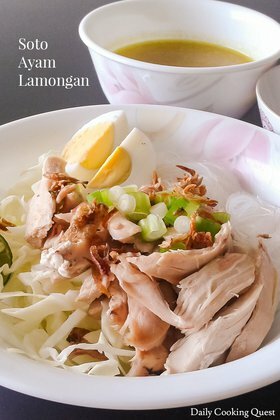 A good bowl of soto is really irresistible, it is especially good when the weather starts to turn cold. 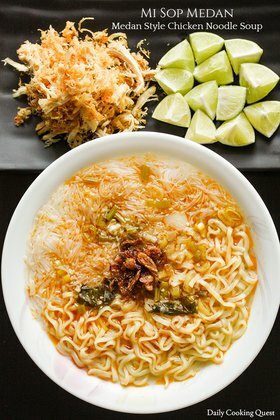 Even in Indonesia where the temperature almost never dips below 26 Celsius (78 Fahrenheit), we would never ever turn down piping hot bowl of soto, even when we ended up drenched in sweat after slurping down the whole thing. Heat oil in a soup pot and fry spice paste, lemongrass, and kaffir lime leaves until fragrant, about 4-5 minutes. Add chicken pieces, mix well, and cook until no longer pink. Add water, salt, and ground white pepper. Mix well, bring to a boil. Cover the pot, reduce heat, and simmer for 30 minutes, or until the chicken is fully cooked and tender. Remove the chicken from the broth. Once they are cool enough to handle, tear the meat to small shreds and discard the bones. Set the shredded chicken meat aside. Add coconut milk to the broth, mix well, and bring to a boil. Turn off heat as soon as it reaches boiling point. 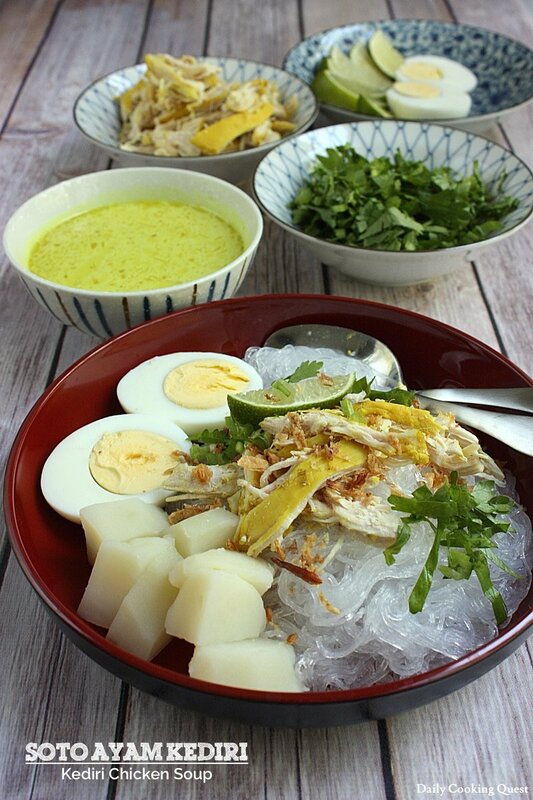 To serve, divide glass noodles, potatoes, hard boiled eggs, and shredded chicken into 4 serving bowls. Garnish each bowl with a slice of lime wedge, some Chinese celery and shallot flakes. Pour the broth into the bowl right before eating.